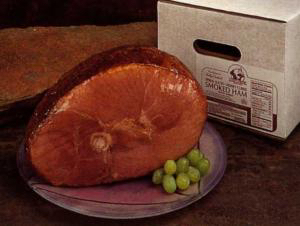 Chef's Pride hams are carefully cured over hickory smoked fires to seal in the savory flavor that will surpass your expectations. Each ham is fully cooked, ready to eat and individually gift boxed for recipients to share with their entire family. As always, Chef's Pride products are delivered on the day and time you specify. Please let us know how we can help your company set a BIG impression on associates and clients by giving them a famous Chef's Pride Individually Gift Boxed Ham.